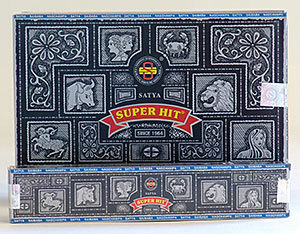 Super Hit Incense, Medium size 40 stick box. From the makers of Satya Sai Baba Nag Champa incense, comes Super Hit Incense - an equally pleasant scent. Our second most popular incense.